It's already the second week of 2017. Chinese New Year is coming in 2 weeks time, are you guys ready for the celebration? 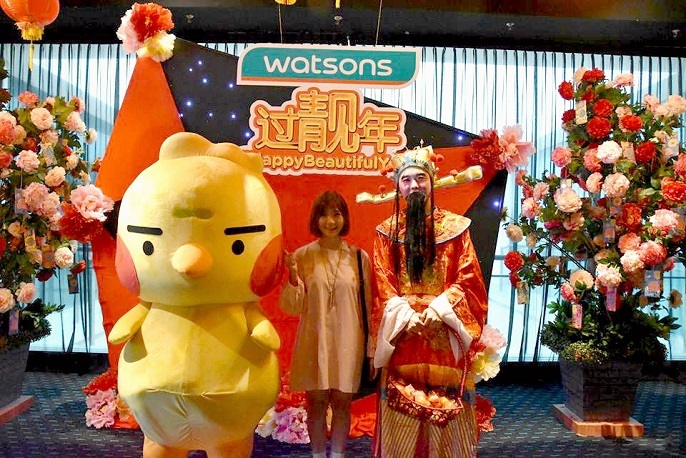 Chinese New Year is one of the important campaigns for Watsons Malaysia to celebrate with their customers. 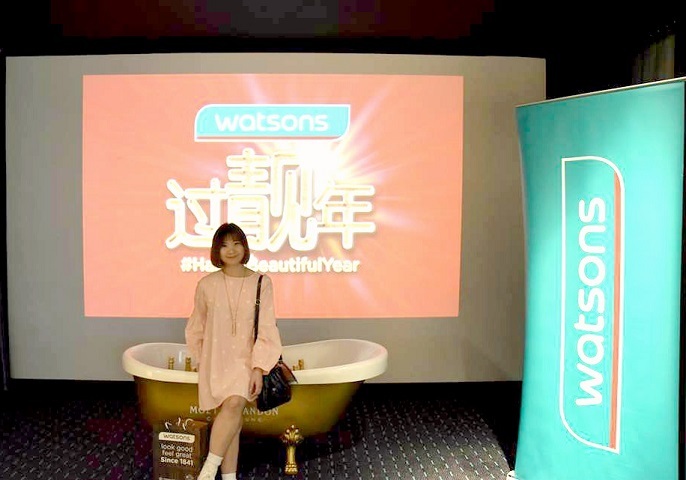 And, this year, Watsons Malaysia kick started the red season with the #happybeautifulyear campaign whereby they want to take this opportunity to send the most beautiful message to all of you! Aside the good food they served, we also spoiled by the lovely activities such as lucky draws, homemade Chinese Mochi with grounded peanut and Chinese handmade drawing crafts during the campaign launched. 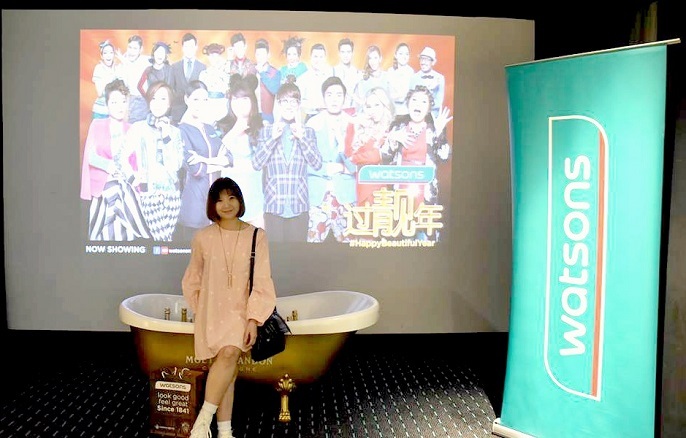 The highlight of the campaign is the song and music video of the "Happy Beautiful Year" which performed by Malaysia's favourite singing duo, Fuying and Sam, along with 20 local and international celebrities, including Amber Chia, Happy Polla from Thailand, Alvin Sinclair, Arja Lee, Arfan Aris, Chui Leng, Leng Sisters (DJ Leng Yein and MC Leng Sean), John Tan, Kit Mah, Nadine Ann Thomas, Nigel Chin, Reem Shahwa, Rubini Sambanthan, Santhawan Boonratana and Wafa de Korte. It's a happy Chinese New Year song that bring you fun, laughter, humor, and love! Here's the complete music video! The music video was shot in November 2016 at various locations in Klang Valley. It's a special video that showcases familiar Malaysian scenes and multi-cultural facts of Malaysia. That's probably one of the main reason why this video hit half million views within 48 hours since it released on Watsons Malaysia YouTube and Facebook channels. After the campaign was officially launched, we all joined the traditional "Lou Sang" ceremony! Well, Chinese New Year is all about NEW; such as getting new clothes, new shoes, new look and new hairstyle. 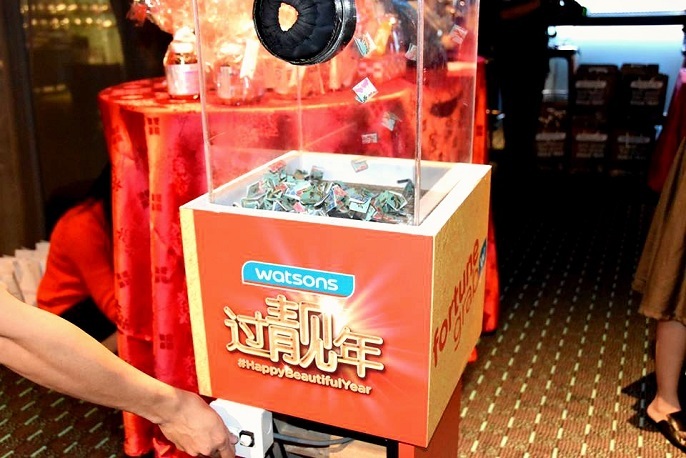 For the Watsons VIP members, as long as you spend more than RM80 in a single receipt at Watsons, you will have the chance to dip in the happiness box and grab prizes worth up to RM1,888,888. 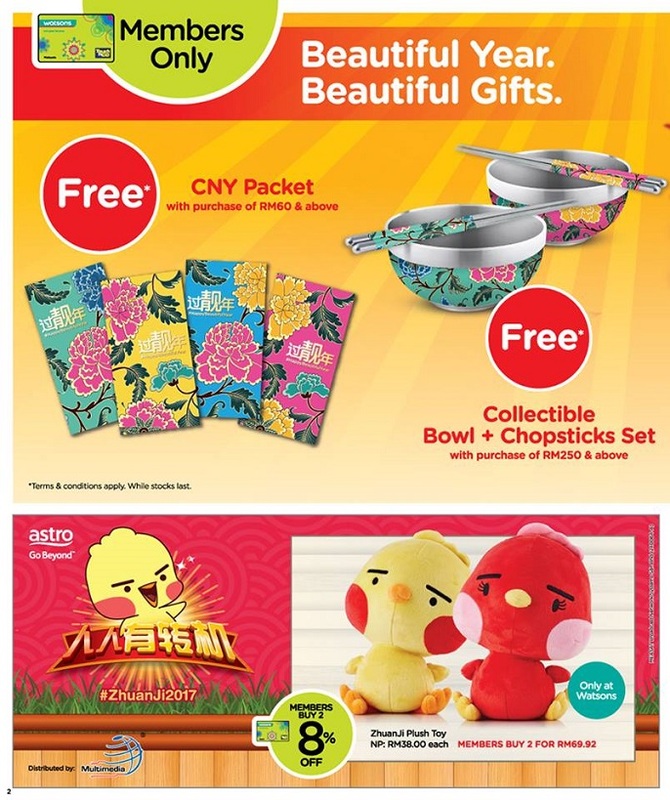 For more information on Watsons Chinese New Year campaign and promotion, visit www.watsons.com.my/cny2017.